An in-depth knowledge of the Gold Coast market combined with wide reaching relationships enables me to provide a level of service that has you covered; no matter what your real estate needs are, I'll have you covered. Specialising in the sale of residential houses, duplexes, townhouses, villas & units, Fox’s Real Estate is a family owned agency proud of the fact that it offers a highly efficient and personalised service to a large network of very satisfied clients. Our agency is centred on delivering solid client benefits such as sale by private treaty, a guaranteed risk free service to each of our vendors and a policy of no money paid by our vendors until the property is happily sold. Help Clients to invest in their future by buying affordable property! TMC Rentals Coastal is a local Kingscliff business and only manages rental properties. We provide a personal boutique style of management which allows each landlord to receive the individual attention they may need or require. We are fresh take on property management with a commitment to professional service and a proactive attitude. We are not the biggest agency around and because of this, we can ensure that we always have the time to address issues that may arise and to help you or your tenants when needed. I am a highly organised professional with no less than 30 years of experience working in the fields of property management, property development, law construction, banking and property development. I truly believe that believe that this personalised approach to property management we seek to provide sets us apart from other service providers in the area. I would love the opportunity to meet with you to discuss how I would manage your property. At Byron Bay Property Co., we take a proactive and full service approach to the management of long term residential (permanent) rental properties. Our sole priority is to effectively care for investors' properties and ensure a smooth, professional, and profitable rental experience. As an independently run company operating within this niche market, we are able to specialise in providing excellent customer service for landlords and tenants alike. We are happy to connect with both local and abesentee owners and investors interested in leasing their property out to renters. We offer our expertise and build relationships with future property owners from the onset of the investment journey rather than as the final step, framing a collaborative and holistic property management experience from the very beginning. I would love to sell your property - just for the record. With over 15 successful years working within the Gold Coast Real Estate market, Karen has gone from strength to strength achieving outstanding results for her clients including numerous record sale prices and having a strategy in place to get each & every property 'SOLD' for a premium. Karen is known for exceeding vendors price expectations. To effectively market a property it takes incomparable market knowledge, an extensive database of suitable buyers, the right skills, resources and the utmost professionalism. Karen believes that her job is not about commissions, it is about building new relationships; and this what is very special about the way she works with her clients. Karen builds lifetime business relationships. Most of Karen's clients are multiple repeat customers or referrals. Want to invest in a commercial property or you wish to sell your property? Are you looking for a quick and an extensive platform to start with?? CommercialProperty2sell is one of the best platforms to buy or sell your real estate properties. We have a wide range of Commercial real estate for Sale, lease or purchase in Australia. We offer more than 10000 commercial real estate listing to our valuable clients. Moreover, if you are a commercial real estate vendor and wish to sell your property, register with us now. We are offering a three-month free trial period to our new clients. We assure you that you will get more than 100 enquire a day. 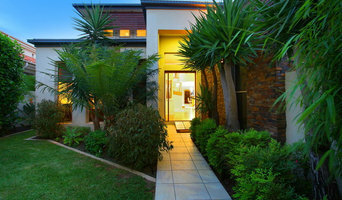 So call us now @ 1300556121 or just explore our official website CommercialProperty2sell.com.au. Our experienced staff will get back to you as soon as possible. Luxury Life has been conceived out of a passion for excellence and a desire to encourage clients and the industry as a whole to demand more from the real estate experience. Disillusioned with the general lack of service and integrity in the industry, luxury life was created to deliver superior service, honesty and professionalism. Our goal is the highest standard of excellence Not just in the way we will surpass your expectations, but in our welcome, our attentive and personal service, our attention to detail and our absolute integrity. We don't list, just for the sake of it. Unlike other agents, we don't just list for the sake of it. Taking a listing is our total commitment in you. In fact, we limit the number of listings to ensure we never compromise our standards. We promise you'll never feel trapped. You will never feel rushed or under pressure to make a decision or do something that doesn't feel right. We offer a global perspective. Our talented team speak no less than six languages and have worked in seven countries. 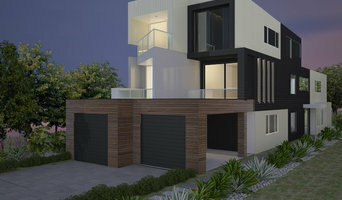 Real Estate is a complex and dynamic area of work that demands experts to stay informed about rules and regulations as well as the Fingal Head, New South Wales market. As you can imagine, agents and brokers vary as much as the properties they sell. You'll need to be as savvy in selecting a realtor as they are in getting you the best price. When you're looking to buy a home, a buyer’s agent represents a home buyer or seller in a real estate transaction. 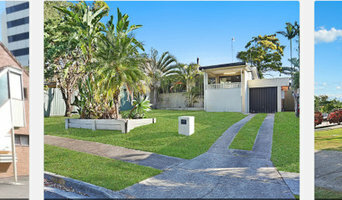 A buyer’s agent will find Fingal Head property listings that match your needs, works with the seller’s agent to schedule showings and accompanies you on visits to tour the home. If you’re interested in the house, the agent handles price negotiations and other terms of the sale, and coordinates the appropriate paperwork. If you are engaged in a home sale, a seller’s agent will help you determine a listing price for a Fingal Head, New South Wales property and can suggest repairs, upgrades and staging ideas to boost the home’s appeal. He or she is in charge of marketing the house to prospective buyers and other agents through signage, websites, print ads, open houses and other methods. As with a buyer’s agent, a seller’s agent represents you in negotiating the sale.